Would a theater by any other name smell as sweet? 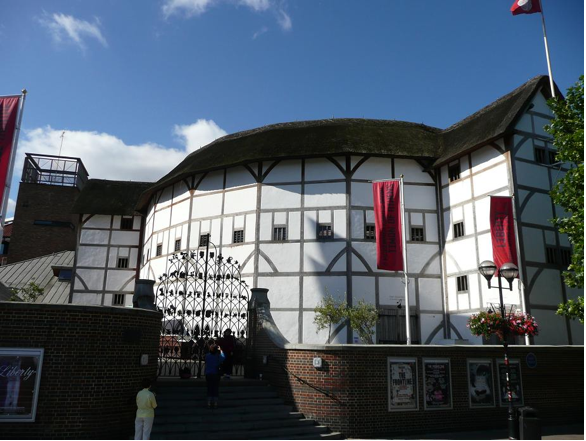 Today’s Globe Theatre has become one of London’s most popular attractions. 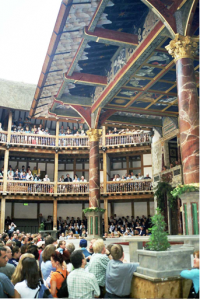 Built through the efforts of the Shakespeare Globe Trust, it began hosting performances in 1997 a short walk from the riverside site of the original Globe, which put on its first play nearly three centuries earlier. The reconstructed Globe marvelously evokes an earlier age, but visitors should keep in mind that its neighborhood is quite different from that of its Elizabethan namesake. The district surrounding the original Globe fell in a “liberty,” land previously owned by a religious institution that was confiscated by the royal government during the Reformation. Although title to London’s liberties often found their way into secular hands, the crown granted to their new landlords the relative freedom from civic jurisdiction that church lands had enjoyed. The result was the appearance along the south bank of the Thames River a variety of popular pastimes that the City of London’s puritanical magistrates detested. 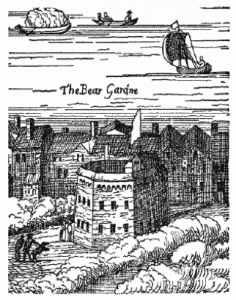 By the middle of the sixteenth century, the Bankside Bear Garden attracted crowds to watch bears and other wild animals tormented by dogs; Henry VIII witnessed the brutal spectacle in 1546. The area also had since the Middle Ages hosted brothels that were owned by successive bishops of Winchester, who regulated them and diverted their proceeds to charitable purposes, including nearby St. Thomas’s Hospital. Henry VIII closed the brothels toward the end of his reign, but they reappeared by 1600, around the same time as the Globe. Renaissance London’s first public theater was the Red Lion, built east of the City in Whitechapel in 1567. In 1576 James Burbage established an open-air public playhouse called, appropriately enough, the Theatre in the north London suburb of Shoreditch. This was followed by the Curtain in the same neighborhood in 1577. In 1587 the open-air Rose (which is currently also the scene of archaeological work and potential reconstruction) was established across the Thames near the Bankside Bear Garden. The riverside location must have been convenient: the Rose was followed by the Swan in 1596 and the Globe, built out of materials brought from the now defunct Shoreditch Theatre, in 1598. Although the Rose was the site for some of Shakespeare’s earliest productions, it found itself in the Globe’s shadow once Shakespeare moved there and for the next fourteen years wrote many of his best plays for the new stage. But would a pit dweller have noticed the “stinkard” nearby? 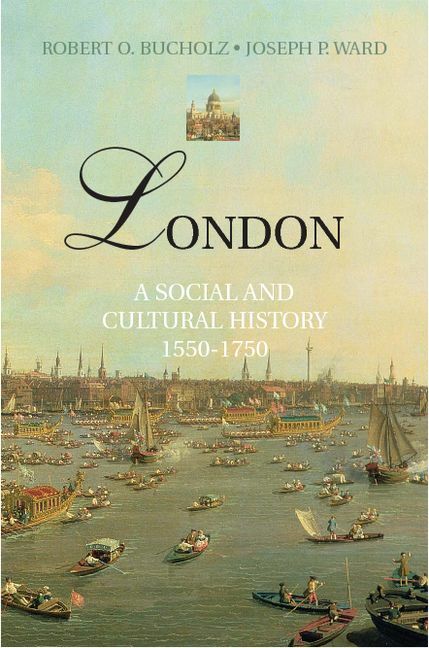 Much would depend on the direction of the wind, for in Shakespeare’s London the Thames was an open sewer into which all manner of waste—human, animal, and industrial—washed with every rain. A visitor to the reconstructed Globe today may be forgiven for a sense of nostalgia for the sights and sounds of the original Renaissance stage, but some aspects of the experience are surely best left in the Age of Elizabeth.